Disclaimer : Pardon me if I come up with a half-baked post today. Not a walk in the park for sure, for more reasons than one. Firstly, I’m still burping from those extra cheesy, caloric-laden pizzas loaded with salami and Italian sausages from dinner. More on that in a later post. Shat Keh Ma (literally translated to “Kill Ride Horse” …. don’t ask why because I don’t know) is but one of those snacks that most people would never bother to write about. But then again, I am an anomaly/freak of nature/weirdo of a food blogger. Tonight’s my last night here in Ipoh for this Raya/Merdeka homecoming fest, and the 5 days of non-stop eating relived all those bittersweet memories of the glory days when I was still working here. Ahhh … the better days when life was more than just work and traffic jams. No turning back now I guess, so might as well expand my horizons to territories uncharted, street food unwritten and stories untold. 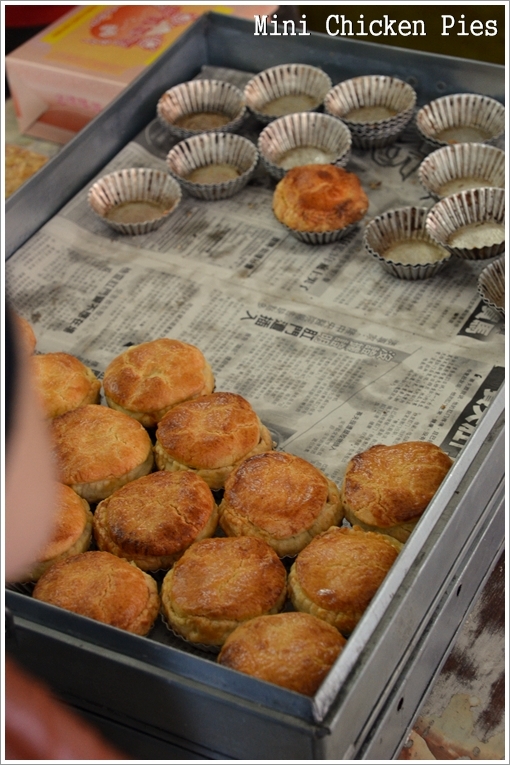 For today, allow this Motormouth to share his story on Hong Kee Confectionery; another priceless gem of an outlet famous for their ‘shat keh ma’, egg tarts and ‘gai dan gou’ (egg cake with kaya) ….. There are supporters and detractors alike, for the perpetual saga of Choy Kee vs Hong Kee egg tarts can never reach a unanimous ending. For us lucky folks though, why bother comparing when you can have the best of both worlds? “Gai Sow” or mini chicken pies in their perfectly crumbly pastry, with a rich and fragrant buttery taste. A poor man’s chicken pie, I’d like to call this. But I’ve been loving these since my toddler days. If the name Hong Kee sounds familiar, it maybe because I have written a post on their egg tarts back in 2008; in coincidence with the launch of Firefly’s Ipoh-Singapore route. But I did not visit the shop that time, mainly writing from a different perspective. 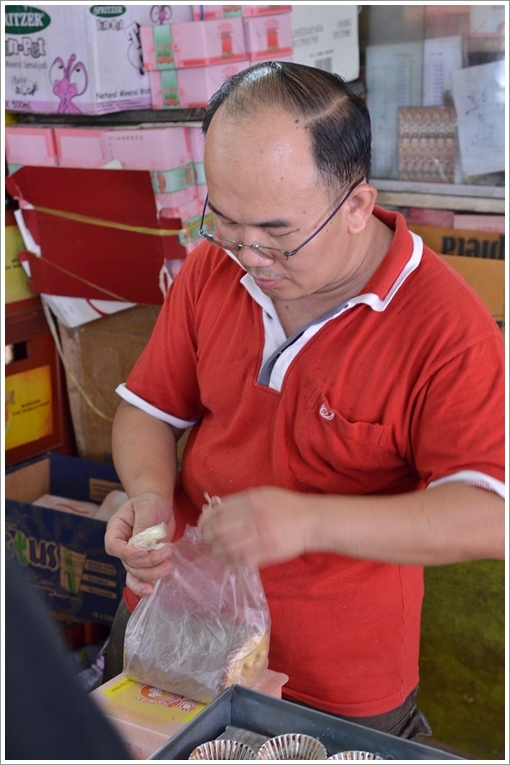 One of an egg tart lover receiving his beloved snacks in a pink-coloured paper box; ‘ta-pau’ (take away) from the shop. 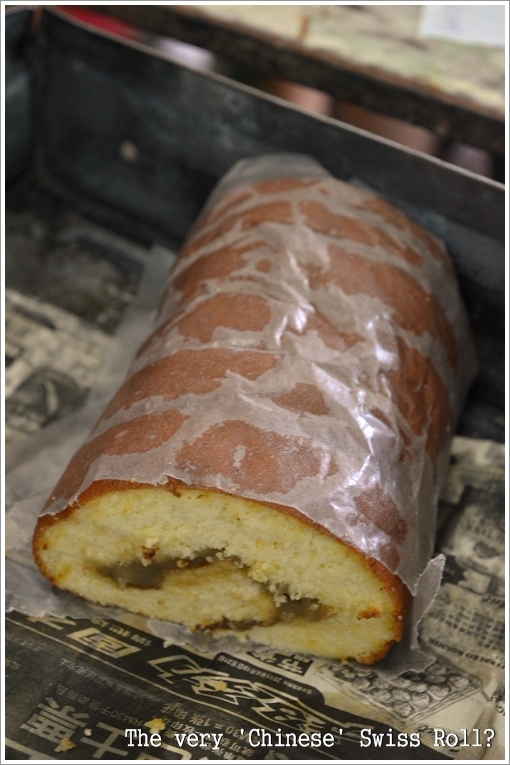 “Gai Dan Gou”, aka egg cake rolls sandwiching homemade kaya (coconut jam) in between. One of the perks of being a food blogger, and running a Facebook page with hungry gluttons constantly on the prowl for good eats in Ipoh is that I get first hand information (not filtered ones from published sources or media) and almost on the spot replies. 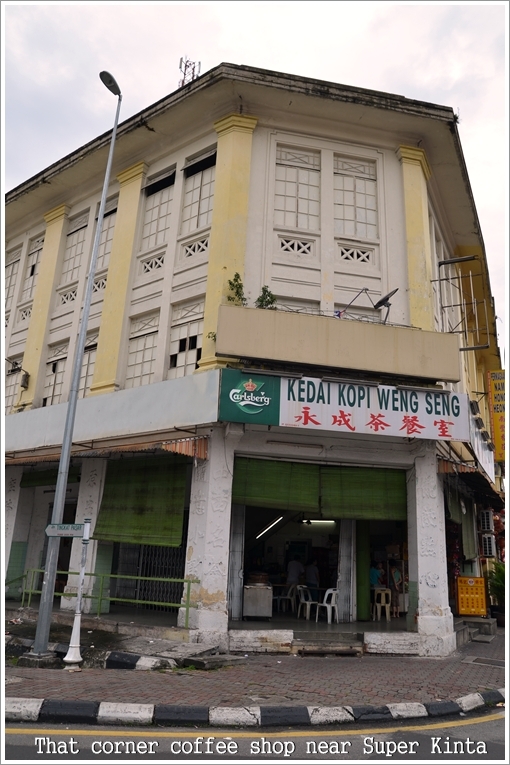 If you intend to visit Hong Kee Confectionery @ Kedai Kopi Weng Seng in town (full details at the end of this post), please do so BEFORE 9am. If you’re going on a weekend or public holiday. That’s Hint #1. Guess the crown says it all. 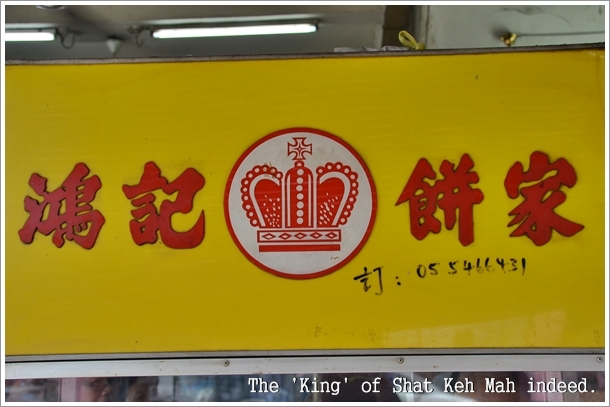 King of ‘shat keh ma’ and egg tarts indeed. Can you believe that we purposely jolted ourselves (almost to the point of slapping myself awake) up from deep slumber on a beautiful Tuesday morning (1st day of Raya), arrived at destination at 9.30am …. only to be turned away as there was NO more ‘shat keh ma’ left?!!!!! Everything was baked to order, it seemed. No prior booking? NO egg tarts or ‘shat keh ma’. I know, you’re going … what the #$%@?!!! This guy is the son of the boss; who bakes from the factory in Simee. You can also buy from there, but with prior reservation of course. Details at the end of this post. And that’s when this Motormouth used his wit (or lack thereof) and slight charm. Not that I possess any to begin with, but the pleas for one solitary consolation packet of ‘shat keh ma’, and a few egg tarts were met with thankfully; fruitful outcomes. Abuse of influence? Nah … barely. But you can’t blame me for trying, since I knew that had I not stood my ground and persevered, I would not be able to get my hands on the famed Hong Kee’s ‘shat keh ma’ at all that morning. !! Warning !! – Do not abuse this dirty tactic though. Try making reservations at least a day in advance. Verdict? I succumbed to temptations and walloped off half a block on my own. 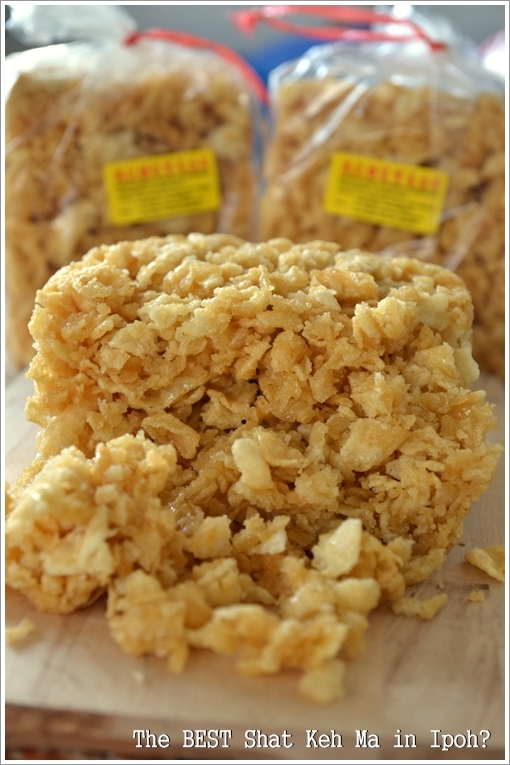 Crispy flour infused with a delightfully rich egg aroma and flavour, intertwined and coated with glistening caramelized syrup that’s not overly sweet. *On a side note, there is one other ‘shat keh ma’ from Sungai Siput that’s also worthy of a mention, though that one comes with peanuts and sesame seeds. How about the egg tarts then? 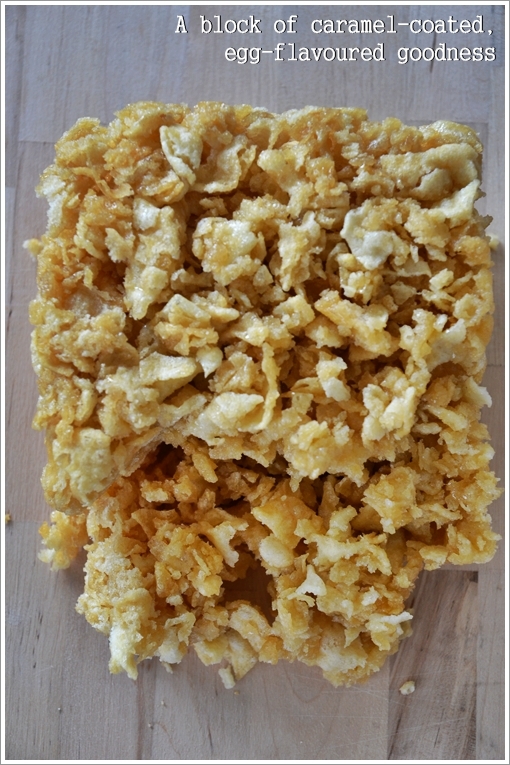 Flaky pastry that crumbles when bitten, with a golden egg custard filling that’s substantially less velvety/creamy than Choy Kee’s. But Hong Kee’s egg custard has that edge in terms of a more wholesome flavour from the eggs. And they do NOT skimp on the ingredients, from the ‘shat keh ma’ to egg tarts to ‘gai dan gou’ (egg cake rolls with kaya), you can actually taste the eggs in them! Passing by this coffee shop on Cockman Street (Jalan Dato Onn Jaafar) on almost a weekly basis back then, I was not even aware of this hidden gem of a confectionery stall within. Still prefer Choy Kee’s to Hong Kee’s egg tarts, but I have definitely found my favourite ‘shat keh ma’ in Ipoh. 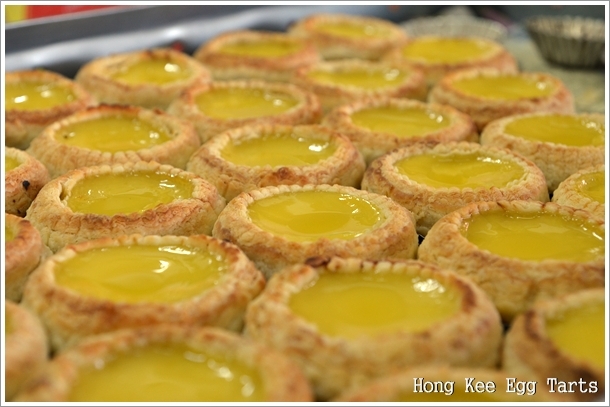 So far, there’s just no comparing Hong Kee’s with the many others sold in various biscuit shops and even night markets. If you have contradicting thoughts, don’t hesitate to share your views. *Do you know that the ‘sifu’ (Ah Hong) was the master behind the now-defunct but evergreen Guangzhou, Chu Kwong (Pearl River?) and Juin Sek (Diamond) dim sum restaurants in Ipoh back in the good old days? Directions : You know the former Super Kinta Shopping Centre? Same road, before you reach Super Kinta on your left. Opposite of Yin Onn Medical Hall, and a short distance away from McDonald’s in town. The egg tarts looked good !!! In the 60s Tung Seng and diamond at the back nearer to Guangxi clan association were our regular joints for dim sum. Tung Seng was before the famous Kong Chow on the now vacant lot opposite the former Odeon Theatre. Ah, all these places makes me wanna go back but how to wake u by 7.30 or 8??? Ahem. I CAN wake up that early hou mou …..
Yeah, RM5.40 for a pack does sound a little premium for Shat Keh Ma. But it’s a price worth paying since every bite was loaded with fragrance from the eggs used. Amazing stuff, only the Sungai Siput one comes close. are looking to trade solutions with other folks, be sure to shoot me an e-mail if interested. Anyone able to advise how to buy this from Australia ?? I ate the gai sow (mini chicken pie) two days ago. It tasted terrible. Sorry. Egg tarts very soft and nice. Now can buy their shat keh ma online.